Enhance your child’s confidence while developing their math skill. It takes more than one parent- it takes teachers, students, and parents working together to invest in each child’s development. We’ll show you how we can work together. Are you looking for a child development program? Welcome To AMALC. This is a child development program based on Visual Arithmetic. Abacus that boosts brainpower in children, abacus for kids age 3-14 years. Along with strengthening mathematics skills. AMALC is the best one for abacus class for kids in Us. Tha AMALC approach promotes establishes foundational building blocks. To make this a reality, abacus training comes to the help of children to make them talented, brainy and all-rounders. Such high-level training makes children enough confidence to face competitive exams. Abacus training gives kids, more gifts like creativity, mastermind, concentration, memory and whole brain development and core skills, problem-solving that inspire greater confidence and success in all subject areas and in life. The Japanese abacus or Soroban abacus is a one of many counting devices invented to help count large numbers. Which is consists of a wooden frame, which holds columns of beads. Abacus math method of calculations is considered to be one of the fastest way of calculations. For hundreds of years, this tool was used by merchants and bankers as the original calculator. Soroban abacus tutorial is the best method for developing the creativity, concentration, memory of the childrens. Abacus is an animated and interactive software abacus tutorial which will help one to learn abacus quickly and effectively. The soroban means the abacus developed in Japan. It is derived from the ancient Chinese suanpan, imported to Japan in the 14th century. Like the suanpan, the soroban is still used today, despite the proliferation of practical and affordable pocket electronic calculators. Just consider each bead being 1, period. You have 10 tens, or a hundred, in your abacus, and that goes a long way in explaining tens and ones or 2-digit place value to children in kindergarten and first grade. It is best if the abacus has five beads in alternating colors, like on the abacus in the right. Abacus for kids, Learning to use the Abacus is simple, the child just has to move beads on a string in this instrument. Basic mathematical methods like addition, subtraction, multiplication and division are solved by a simple action of beads in this instrument. 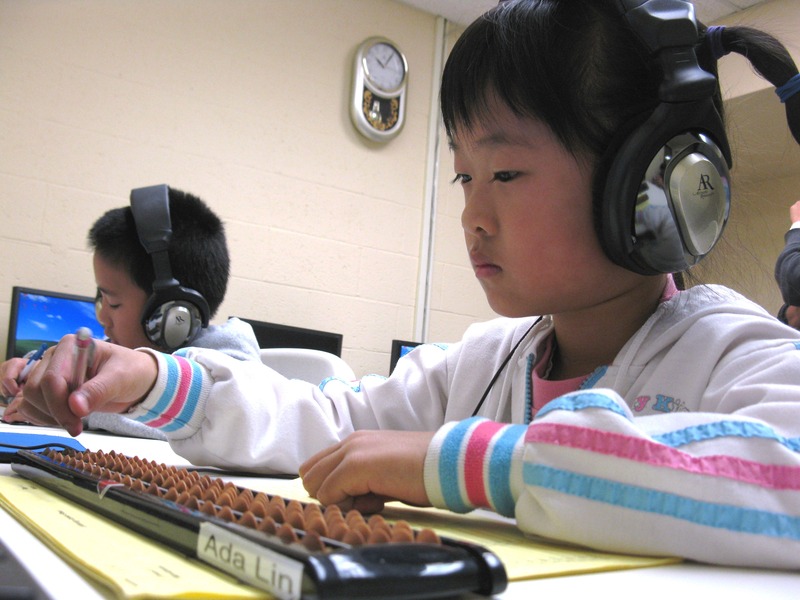 Students who learn the abacus regularly achieve higher academic performance not only in arithmetic but also in all subjects because of the concentration. This helps to the child develop a photographic memory. Abacus training gives the ability to solve the arithmetical problem once looking at a problem and working it out mentally. By normal practice on this instrument, Kids will learn to solve problems without literally using any aid, including the Abacus. Babies become proud on their capacity, dare to challenge with others, try to make himself all-rounder, grow their confidence and be successful in all areas. AMALC is the good training center for Abacus for kids in US, Kids who study abacus from AMAlc, achieve below all the benefits. Abacus is known to sharpen basic math abilities among young minds. Learn on this subject has proved that the use of the abacus gives babies, a sharp brain and proficient brain. Generally, Kids who don’t like arithmetic try to run away from the intricacies of problem-solving. Abacus helps to babies develop quickness and accuracy in mathematics by implementing easy methods. Babies who use abacus principles end up liking mathematics very soon. Maths is the perfect exercise for the brain. By applying its formulae, one can tackle particular problems. A child who spends with solving math problems more times surely gets the sharp brain. For this reason, kids who are good at mathematics can tackle their other subjects at school very easily. 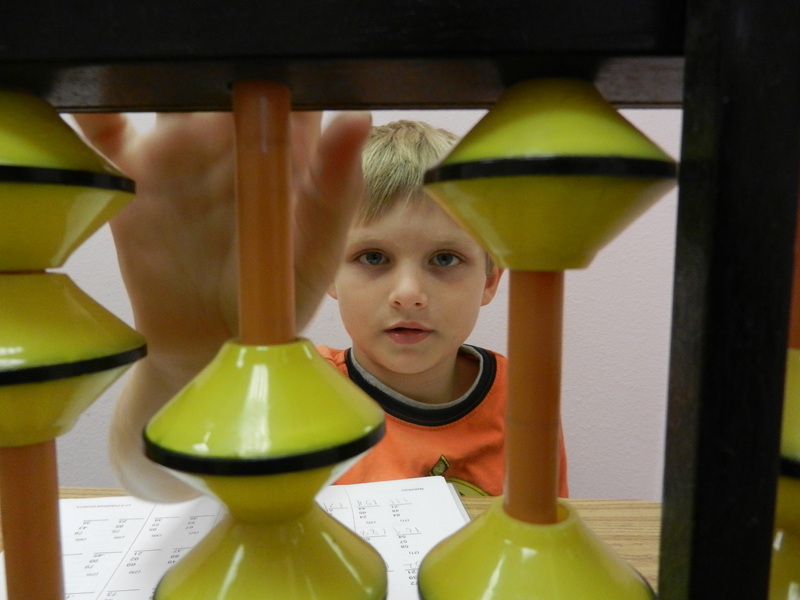 Children trained on abacus develop a photographic memory. Their capability to recall whole chunks of information is also developed, and is due to their training on the abacus. 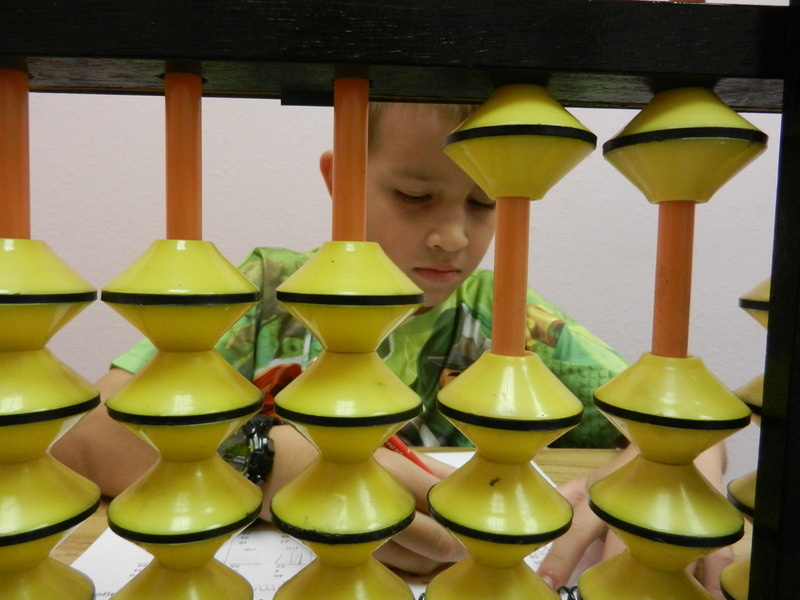 While using the abacus, a kid uses both hands to move the beads. This finger movement activates the brain sensors, the right hand coordinates with the left brain and the left-hand coordinates with the right brain. Thereby, helping the entire brain to function well and add intellect, thus creating a math prodigy. AMALC is the Best Training Institute of Abacus for kids in US. 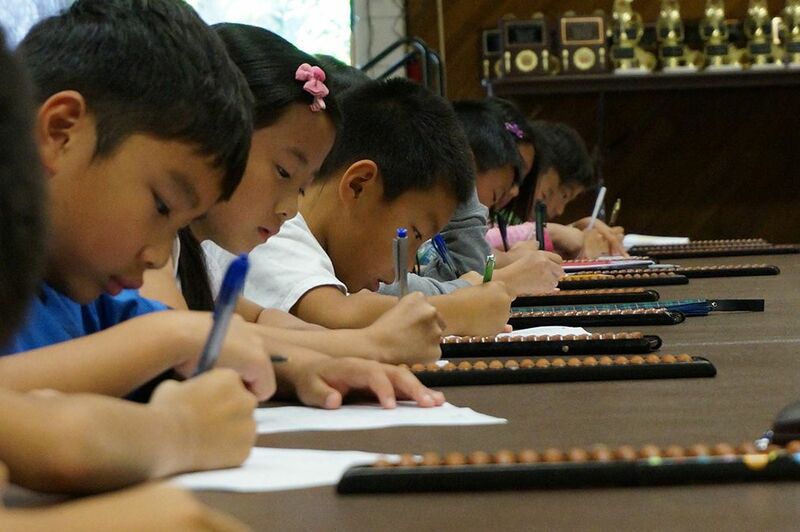 Kids who learn abacus from the AMALC, get more benefits. The abacus are n’t just good at mathematics but they excel in all subjects at school because their concentration powers are much higher. Abacus guides them to look at a math problem and solve it by looking at it and working it out mentally. Children who develop this capacity of solving mental maths are proud of this skill and go on to becoming very confident. In time, they become all-rounders at school. 1. Improves problem-solving abilities. 2. Increases endurance for stress and pressure. 3. Sharpens listening skills. 4. Betters reading and writing. 5. Sharpens concentration and observance. 6. Develops confidence and self-esteem. 7. Enhances photographic memory. 8. Helps build better and faster calculation skills. 9. Gives children a lot of confidence in solving mathematical problems 10.Increases memory power and sharpens overall mental formation.